As people age, it inevitably becomes harder to get around independently. This is especially the case if medical issues requiring special attention are involved. 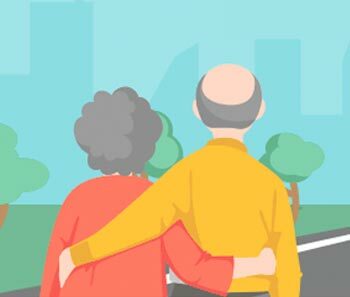 The good news is, there are actually plenty of ways for seniors to travel locally. 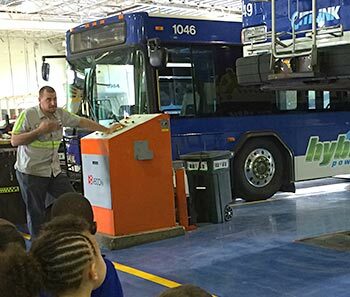 School, scout & youth groups have enjoyed tours at Citilink offices to learn more about buses – how to ride, drive, maintain, etc. The best part is taking a bus through the giant bus wash! 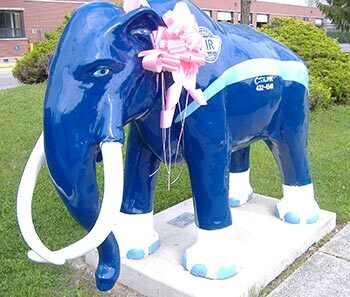 Citilink participates in community wide events, like the Mastodon project, and provides awareness by offering advertising inside & outside our busses as well as decorating our station, header signs on our buses, and mastodon for special events like Think Pink Day, holidays & other celebrations. 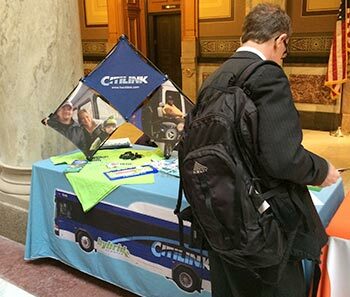 Just like the bus, the Citilink display goes all over town to job fairs, festivals, schools, workplace events, earth day, etc. 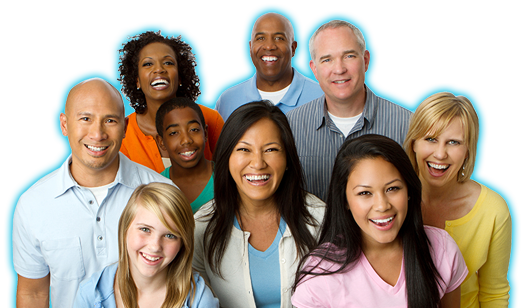 Look for us at events, or better yet invite us to participate in yours. We love to talk to folks about riding the bus. 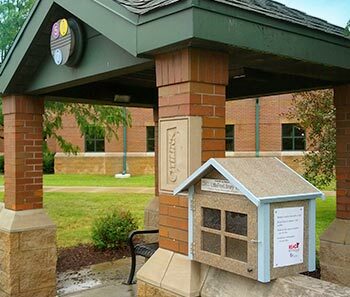 Citilink has partnered with the Allen County Public Library to offer free books at our Hanna Creighton Urban League transfer station and Central Station downtown. Bus riders are encouraged to take a book &/or leave a book at these locations. (courtesy of ACPL). 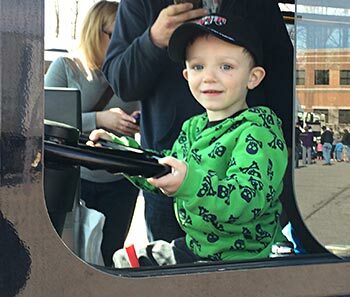 Join us for the "best day ever" at the corner of Hanna & Creighton. The neighborhood partners that redeveloped the block – CANI, Urban League, Pontiac Library & Citilink have gathered on a Saturday in November to offer FREE food, fun, music, books & drawing to win 4 fully equipped reading rooms to take home and enjoy! 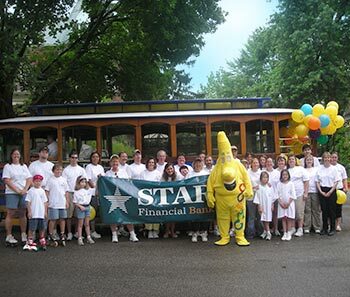 Citilink has been part of the Three Rivers Festival Parade for many years. 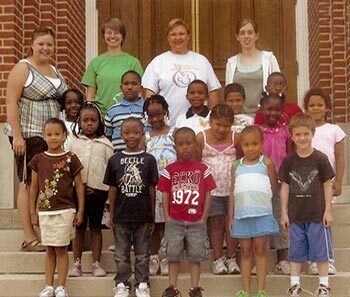 Often we are joined by community partners like Star Bank & Parkview Health. 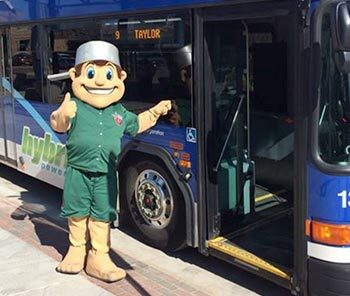 Recently we have organized a bus brigade of local & regional transportation providers. 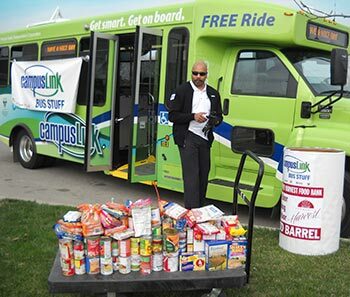 For over 10 years Citilink and its community partners have collected busloads of food for the Community Harvest Food Bank. Most recently, the Fort Wayne Komets, Purdue University Fort Wayne and Ivy Tech have teamed up to fight hunger. Celebrating community and helping families & neighbors connect for the holidays. 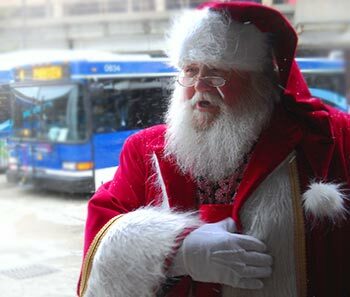 Santa stopped by Citilink station to visit with riders and distribute candy canes. Hundreds of children & youth take advantage of the best deal in town ($25 for 3 months) to attend summer programs, work, or just enjoy getting around on their own. 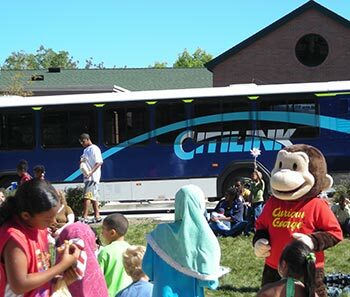 Citilink enjoys being part of the community development boom on the south side of downtown. Our new neighbors appreciate the convenience of having public transit nearby. 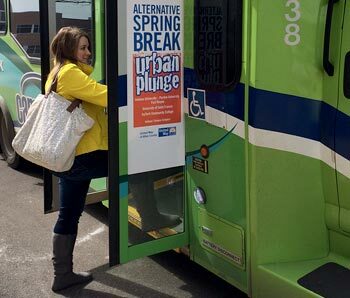 Partnering with United Way, St. Francis, Ivy Tech & Purdue University Fort Wayne Citilink helped college students enjoy an "alternative" spring break by volunteering with social service agencies around town. The weather wasn't warm but everyone felt warm inside from lending a helping hand. Hundreds of our riders "Rack & Roll" by bringing their bikes with them on the bus. 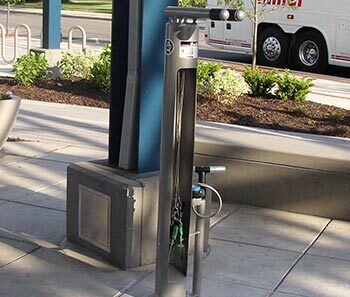 Citilink Central station is home of the only self-serve bike repair station in Fort Wayne. A great addition suggested by local bike riders.